So many little bundles of joy ripe for the picking. 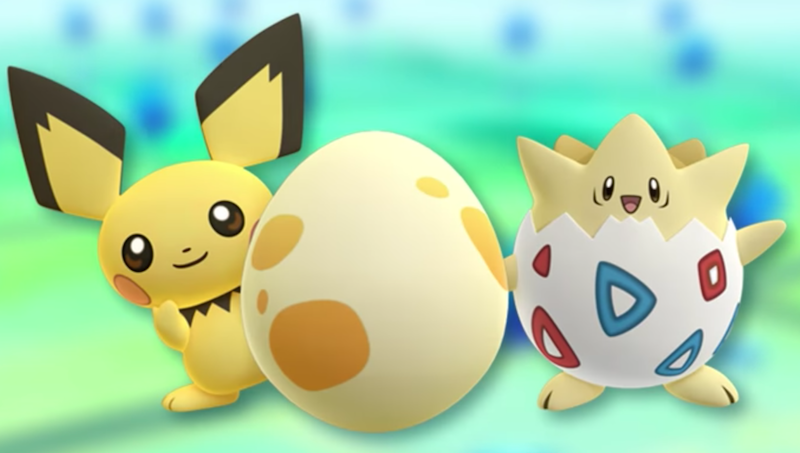 If you're still an avid Pokemon Go player, you should know that there were recently seven additional baby Pokemon thrown into the mix with the latest update from Niantic. If you're going to catch 'em all one day, you'll definitely need to know how to catch Magby, Elekid, Smoochum, Pichu, Togepi, Igglybuff and Cleffa. Read along further for the deets on how to make sure these cute little babies are added to your Pokedex and a part of your collection. In order to collect eggs, you'll need to frequent Poke Stops or head to one for the first time, if you're just now starting the game. You'll find eggs here sometimes if you're lucky, though you'll have to keep searching if you don't get one the first time you visit. When you start Pokemon Go you'll be given one courtesy incubator so you can hatch the first egg you find. You can use it over and over, but you'll want to buy more incubators if you want more baby Pokemon. When you have some cash on hand, head to the in-game shop in Pokemon Go and purchase additional incubators so when the time comes you're ready to hatch 'em all. When you want to use your incubator, you'll need to select a Pokemon Egg from your inventory and slot it into an incubator. Then start walking, because you're going to need a lot of steps. Which Eggs Give You Baby Pokemon? If you want to have some sort of idea what baby Pokemon you could possibly get when an egg hatches, keep in mind that you'll get Igglybuff or Cleffa from 2k eggs, Pichu and Togepi from 5k eggs, and Magby, Elekid and Smoochum from 10k eggs. Of course, this isn't a guarantee. You could walk all that way only to get a boring Rattata or something else that isn't part of the new update. The only thing you can really do is keep trying, especially if you want to see what all of the Pokemon Go babies have to offer. Now get out there and walk until you've got the baby Pokemon you've been looking for -- or a Pikachu with a Santa hat, which is almost as good. Honestly, it's probably better.